Derby company Pentaxia Ltd had a very pleasant surprise recently, when they were awarded the top accolade of “Best of British Engineering” at the annual SEMTA awards in London. SEMTA celebrates the talented individuals and companies whose commitment to skills development is making a significant difference not only in their workplace but in the advanced manufacturing and engineering sector as a whole. 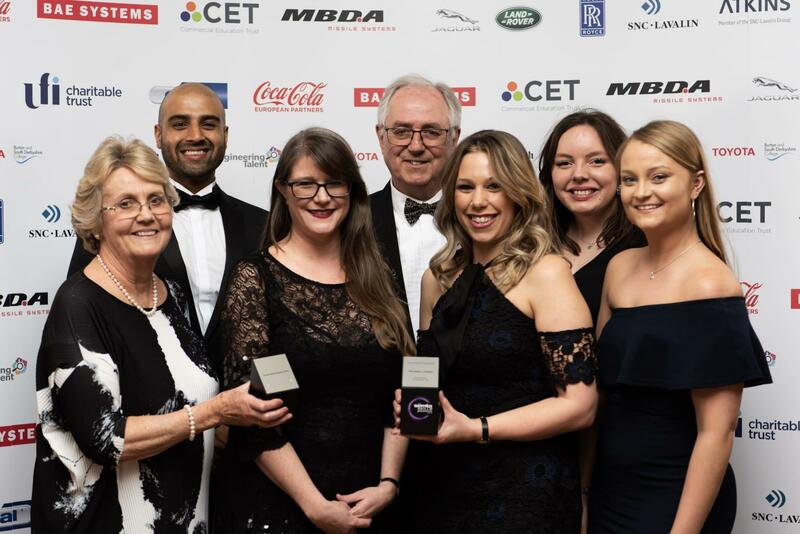 “It was great to take some of our managers and staff down to London for the awards and we were delighted when we won the Investment in Skills Award, recognising our work in creating our own training operation to rapidly increase our workforce. As we will be needing up to fifty new staff in the next twelve months, we know the pool of experienced staff in the area is just not big enough to support our growth, so training is fundamental to our business. The last thing we expected however, was to win the top award of the night “Best of British Engineering”.